Glyn High-Tech Distribution offers the newly introduced Bluegiga BLE112 Bluetooth 4.0 development kits designed to shorten development cycles and time-to-market of Bluetooth 4.0 applications. 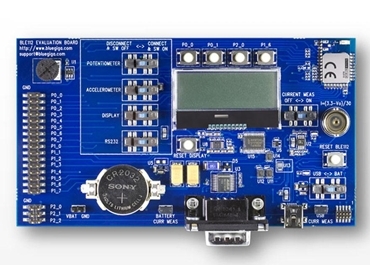 The new Bluetooth development kits are designed for the development and evaluation of Bluetooth 4.0 single mode applications as well as simplify the development of Bluetooth low energy applications by shortening development cycles and time-to-market. A new, open standard developed by the Bluetooth SIG, Bluetooth low energy addresses the needs of new modern wireless applications including ultra-low power consumption, fast connection times, reliability and security. Consuming less power, Bluetooth low energy transmits data 50 times quicker than classical Bluetooth solutions. The low energy Bluetooth devices are used in various health and medical telemetry applications such as heart rate sensors, pedometers, blood pressure and glucose meters, or weight scales. Available in two types, single-mode devices only support Bluetooth low energy, and are optimised for low-power, low-cost and small-size solutions while dual-mode devices support Bluetooth low energy and classical Bluetooth technologies, and are interoperable with all Bluetooth specification versions.